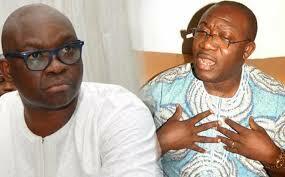 Fayemi counsels Fayose to Devote June allocation for payment of salaries – Royal Times of Nigeria. 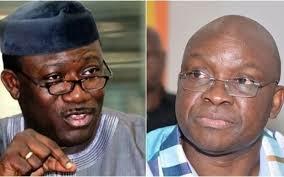 Ekiti State Governor-elect, Dr. Kayode Fayemi has advised Governor Ayodele Fayose to utilize the five-point-five billion naira June allocation from the Federation Account to pay workers’ salaries and pensioners’ entitlements. Fayemi also advised the governor to use the thirty-four-point-five billion naira Internally Generated Revenue cash that had accrued to the state since October 2014 allegedly kept in a secret account with a bank for the benefit of the people. In a statement issued today, the governor-elect urged Fayose to make accountability and human face critical factors in the policies of his administration. He urged Fayose to be open and transparent to the workers on the June allocation rather than summoning meetings with labour leaders to deceive them on the state of finance. Fayemi also frowned at the report of alleged increase in the monthly running grants to the office of the Wife of the Governor from twenty million naira to thirty-five million naira as reportedly approved on March tenth, 2018. Fayemi urged the governor to make the remaining time in his administration transparent and compassionate by applying the state’s funds diligently, particularly in the payment of salaries and entitlements of workers and pensioners.